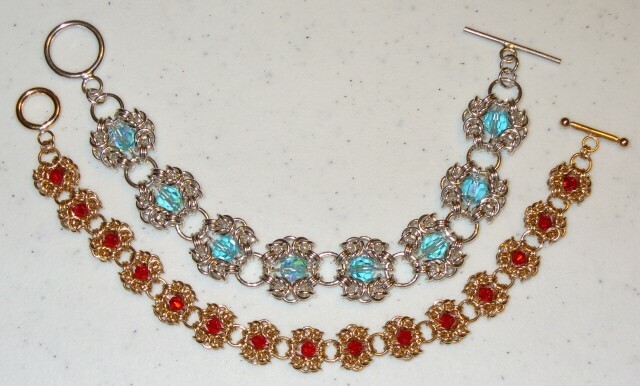 The Romanov with Crystals Bracelet is a very comfortable bracelet to wear. It comes in two sizes and three different ring colors. The large one has more presence on the wrist, but the micro bracelet is petite and pretty. Both can be made in sterling silver, rose gold filled or yellow gold filled. Crystals are not included so you can add whatever color you so desire. There are some beading skills needed. This is a beginner weave. The clasp is not included in the kit.